Schafer Fisheries is committed to supplying an environmentally-friendly alternative to common-day toxic fertilizers, thus preserving the environment for future generations. We are here to help with all of your fertilizer needs. Since the days of the earliest settlers, fish and fish scraps have been used and recognized as an excellent source of plant nutrition. Through the years of technological advances, humankind has just recently begun to realize the importance of protecting our environment and the role liquid fish will play. SF Organics is a cold process; it naturally maintains the hormones, vitamins, enzymes, amino acids and minerals. Our product is high in oil content, sulfur and calcium. Our quality control is such, that each batch is monitored, and is periodically tested for heavy metals. Our competitors use the emulsion process, which uses extreme heat and removes certain elements from the product. We use a process called hydrolysis, in which the product is broken down more slowly to create the highest quality natural plant food on the market today. SF Organics is the answer for the biological farmer. 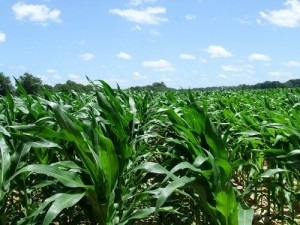 Our crops need to be grown on live, fertile soil. Our fish hydrolysate allows the biological farmer to produce safe, healthy, and nutritious crops both for animal and human consumption.